Fit2Run and Nathan Benderson Park are coming together to provide a 5K Turkey Trot to help local families kick off their Thanksgiving! This race will be a part of your Thanksgiving tradition as you enjoy the festivities at this world-class venue. Race finishers cross the finish line after running the floating final mile over the lake and will be awarded a tasty sweet treat to commence their Thanksgiving feast. All race participants will receive a race shirt that can be picked up at packet pick-up or race day, and a beautiful finisher medal at the finishline. Top finishers to cross the finish line will also receive a special commemorative gift. Proceeds from the race benefit The Suncoast Aquatic Nature Center Associates, Inc. (SANCA), a not-for-profit 501c3 business created to manage Nathan Benderson Park, a community/public asset and world class, multi-use sports venue. SANCA’s mission is to improve the quality of life for our community and be an economic generator for our region. Untimed walk includes race shirt and medal! Can't make it to NBP on race day, but still want the Florida Turkey Trot to be a part of your Thanksgiving tradition? Run the Virtual 5K whenever and wherever you can and get the official race shirt and finisher's medal. 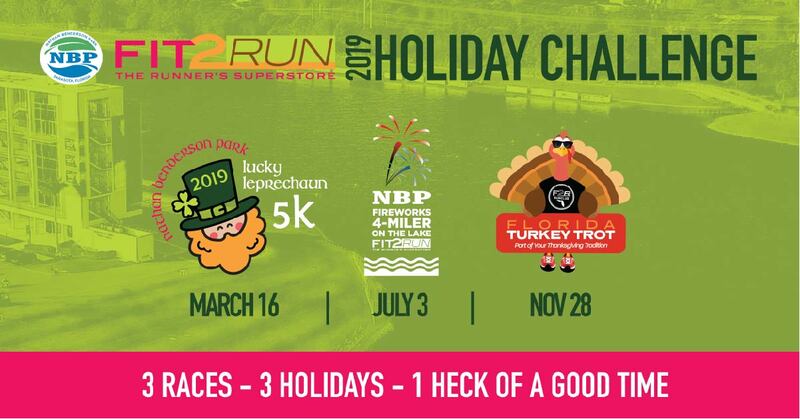 Virtual participants are not eligible for Top Finisher prizes but do qualify for participation in the Holiday Challenge. 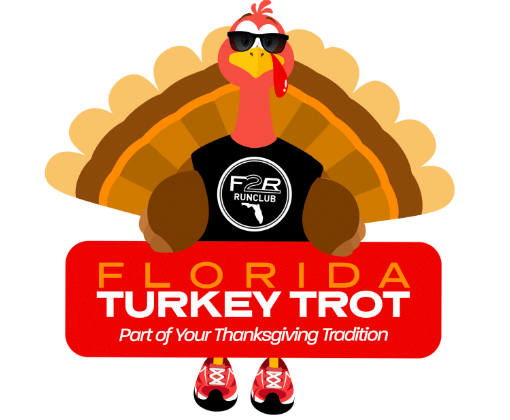 The Florida Turkey Trot is the final event of 3 races in the Holiday Race Challenge. Participate in all 3 races at Nathan Benderson Park and be awarded a special medal at the finish line of the final race. Register for the challenge prior to 3/16 and get an exclusive tri-blend long sleeve shirt celebrating the Holiday Challenge. Learn more and sign up for the Challenge here!